Khawaja Saleem and Co provides a full range of business services to leading national and local companies and to public institutions. Khawaja Saleem and Co carrying on professional practice of rendering audit, tax and business advisory services in Pakistan. The firm was established in Lahore in 2000. Thus, it is the experienced established firm of professional accountants in Pakistan. It has team of Professional Accountants, MBAs/BBAs, qualified Information Technology and Tax professionals. The firm’s experience includes serving a large number organizations including several non-government organizations, government corporations, companies listed on the stock exchanges in Pakistan, banks and financial institutions, healthcare, consumer and industrial product services, engineering and construction, insurance, oil and gas, energy and telecom sector projects. 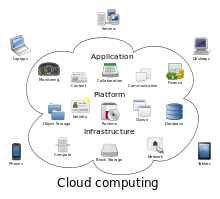 Cloud computing is a kind of Internet-based computing that provides shared processing resources and data to computers and other devices on demand. It is a model for enabling ubiquitous, on-demand access to a shared pool of configurable computing resources (e.g., networks, servers, storage, applications and services), which can be rapidly provisioned and released with minimal management effort. Cloud computing and storage solutions provide users and enterprises with various capabilities to store and process their data in third-party data centers. It relies on sharing of resources to achieve coherence and economy of scale, similar to a utility. 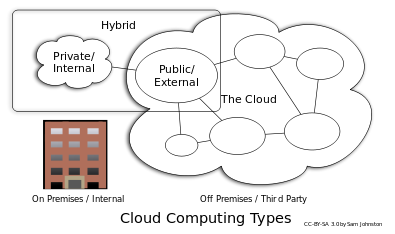 Advocates claim that cloud computing allows companies to avoid upfront infrastructure costs, and focus on projects that differentiate their businesses instead of on infrastructure Proponents also claim that cloud computing allows enterprises to get their applications up and running faster, with improved manageability and less maintenance, and enables IT to more rapidly adjust resources to meet fluctuating and unpredictable business demand. 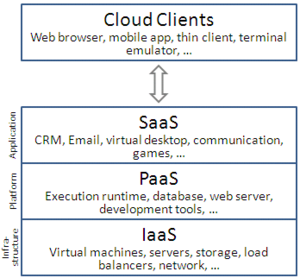 Cloud providers typically use a “pay as you go” model. This will lead to unexpectedly high charges if administrators do not adapt to the cloud pricing model. Cloud computing has become a highly demanded service or utility due to the advantages of high computing power, cheap cost of services, high performance, scalability, accessibility as well as availability. Some cloud vendors are experiencing growth rates of 50% per year, but being still in a stage of infancy, it has pitfalls that need to be addressed to make cloud computing services more reliable and user friendly. We provide consultancy and technical guidance if you shift your organization to cloud with almost all cloud providers like Amazon Web Services, Microsoft Azure, Google Cloud etc. We provide assistance in identifying risk areas and sustainable planning opportunities for indirect taxes throughout the tax life cycle, helping you meet your compliance obligations and your business goals. Our integrated teams give you the perspective and support you need to manage indirect taxes effectively We provide you with effective processes to help improve your day-to-day reporting for indirect tax, reducing attribution errors, reducing costs and ensuring indirect taxes are handled correctly. We provide state of the art services to persons registered with or liable to be registered with PRA. We are specialized expert to deal with PRA’s Campaigns like Implementation of RIMS at Restaurants. We provide assistance during the Installation process of RIMS and afterwards take care of all matters with no worries at your end. Our integrated teams give you the perspective and support you need to manage Punjab Sales Tax on Services effectively. We provide you with effective processes to help improve your day-to-day reporting and Monthly Tax Return as per RIMS data if installed. for PRA, reducing attribution errors, reducing costs and ensuring Punjab Sales Tax is handled correctly. 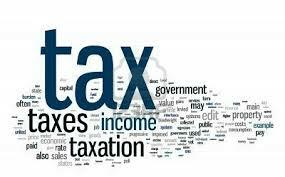 Representation before the Punjab Revenue Authority for involving its jurisdiction for administrative ruling and certification on taxation issues. We ensure our Tax services to meet your business tax compliance and advisory needs. Our tax expert team draw on their diverse perspectives and skills to give you a seamless service through all the challenges of planning, financial accounting, tax compliance and maintaining effective relationships with the tax authorities. Our talented people, consistent global methodologies and unwavering commitment to quality service give you all you need to build the strong compliance and reporting foundations and sustainable tax strategies that help your business achieve its ambitions. Our Services include but not limited to the following. Preparation and filing of annual and periodical tax return. Withholding tax management and related compliance. Managing post return correspondence with and representation before tax assessment authorities. Obtaining certificates of tax exemption & special tax rates, where applicable. Representation in appellate and reference before tax appellate authorities, courts and tax settlement commission. Representation before the central Board of Revenue for involving its jurisdiction for administrative ruling and certification on taxation issues. General Sales Tax (GST) – Planning Consultation, Compliance and Reporting services. Understand and comply with their legal and regulatory obligations for taxation.